I dove into my stash and decided to use up some left-over yarn and make a quick scarf. 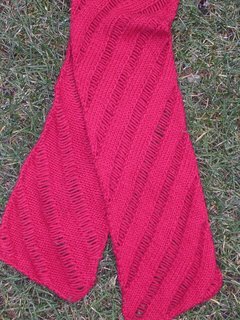 Not having enough to make the full-sized Clapotis --- I reworked the pattern as a thinner scarf. Another great scarf for knockin' around in a denim jacket. When this unseasonably warm weather passes, I'll have the opportunity to wear it. It's been in the upper 50's/low 60's the last few days --- Indian Summer in November! 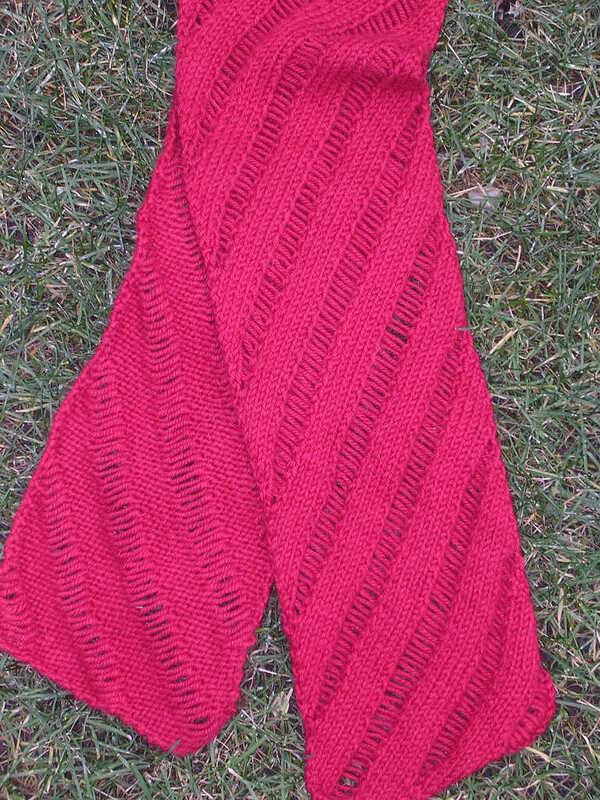 Great color and great idea for the scarf pattern. I just may try that.